Dux Britanniarum is another ruleset from Too Fat Lardies. I have many of their sets, including Le Feu Sacre, Sharpe's Practice and I Ain't Been Shot Mum. Unfortunately I have never played any of them. Did not like the basing in LFS, have no Napoleonic skirmish figures (maybe about to be changed) for SP and have not had a chance to play IABSM. I like what I see in the latter two games as they appear to do a great job of characterizing the play, something for which I have been always keen. 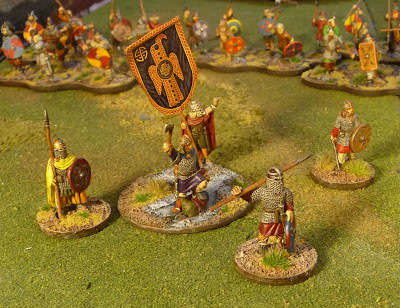 Dux came along last summer and I was immediately interested as it also contained a campaign system. I have been keen to try a linked set of games for sometime. Something to go on with, shall we say. SAGA is great and I hear there are plans for a campaign version, but I saw that I could use the same figures from SAGA for Dux. 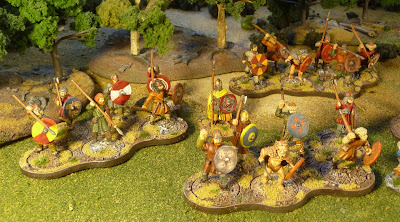 I suppose there are differences but I can not tell, so my Viking became Saxons. I like card driven games, so it sounds all good. 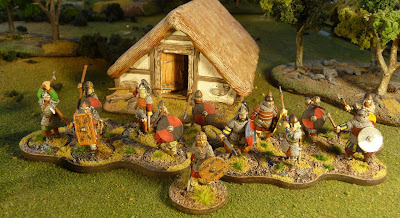 I needed 9 extra figures for a starter Saxon army. 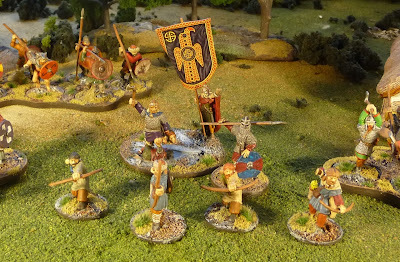 The starter army requires an Ætheling with two subcommanders and a Champion all individually based. Also required are some Gedridht (elite), Duguth (warriors) as well as some skirmishers. 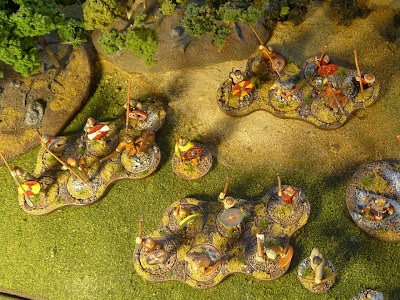 The units are all made of 6 figures aside from the skirmishers that are 4. The units can grow to 8 figures as the campaign proceeds and you can also buy mercenaries as one the lord becomes richer. Warlocks and priests can also be added with time. It sounds like a lot of fun to me. These 5 figures and 4 of the Jomsviking Gedridht were submitted for the painting challenge. Well I am quite excited about playing this game, myself and Curt at Analogue Hobbies are now discussing if we can play the game over time by webcam, we will have to see. 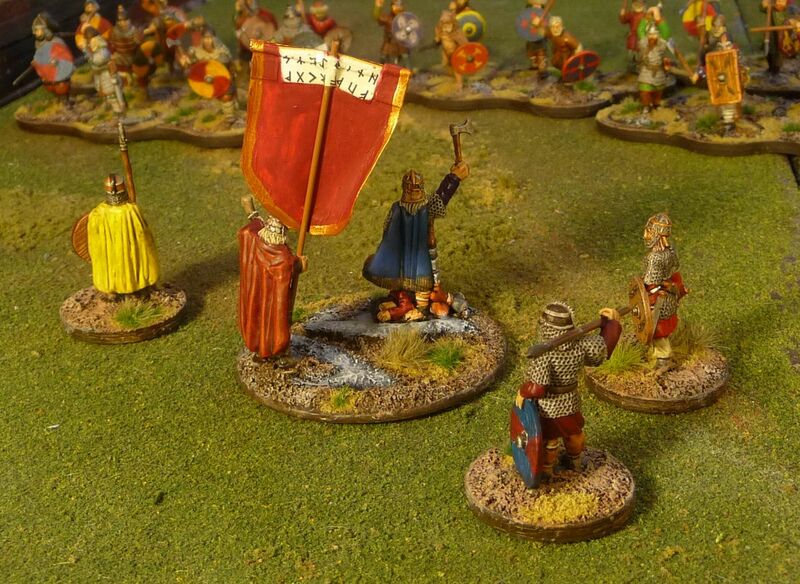 But I can say that I have already got my British army started. Looking real sweet! 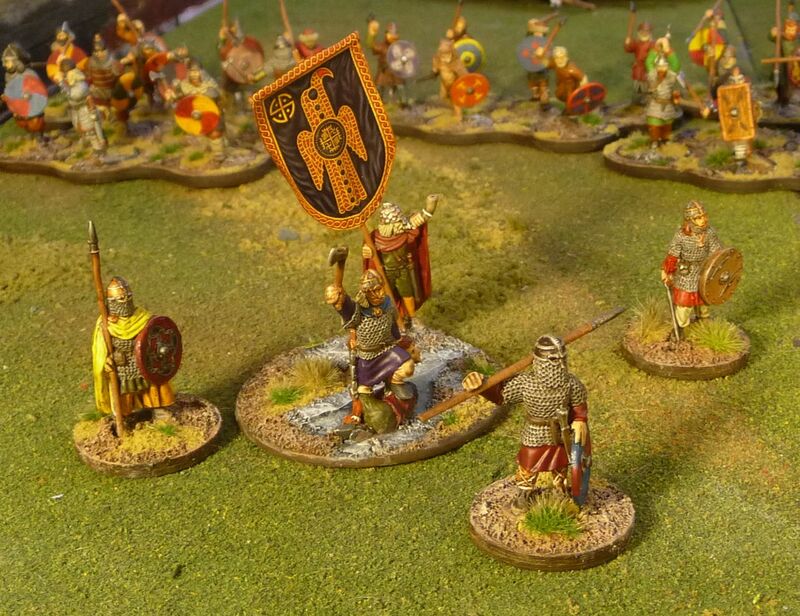 I am still struggeling through my Byzantines... Hope tomhave them done by the weekend! 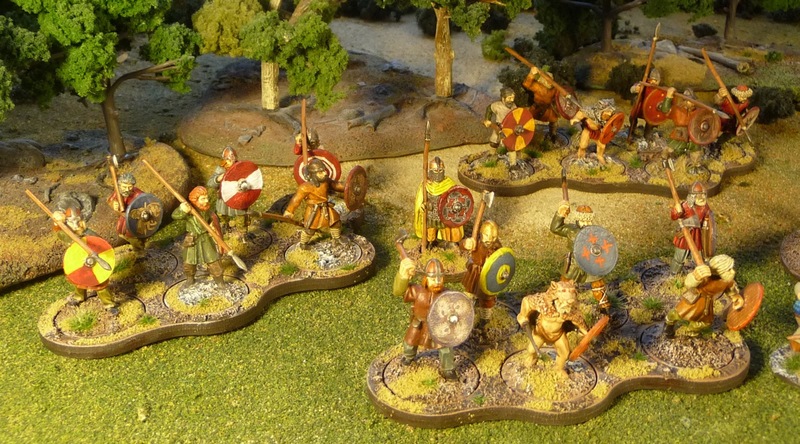 Great stuff John, I love the figures, the standard is excellent as well. 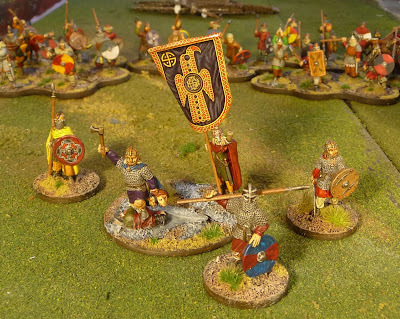 If you are keen to start playing Dux Britanniarum use your LoTR minis, Orcs/Urukais as Saxons and your Dwarfs as Brittons, or way not do as me and my friend run a Viking/Saxon campaign...the possibillitys with Dux are endless...maybe not but very long at least as the rules are very generig even though they are writen for a very narrow era. 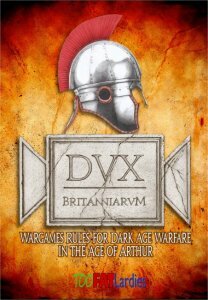 Good luck with the gaming, looking forward to the first AAR and your thoughts about the rules.